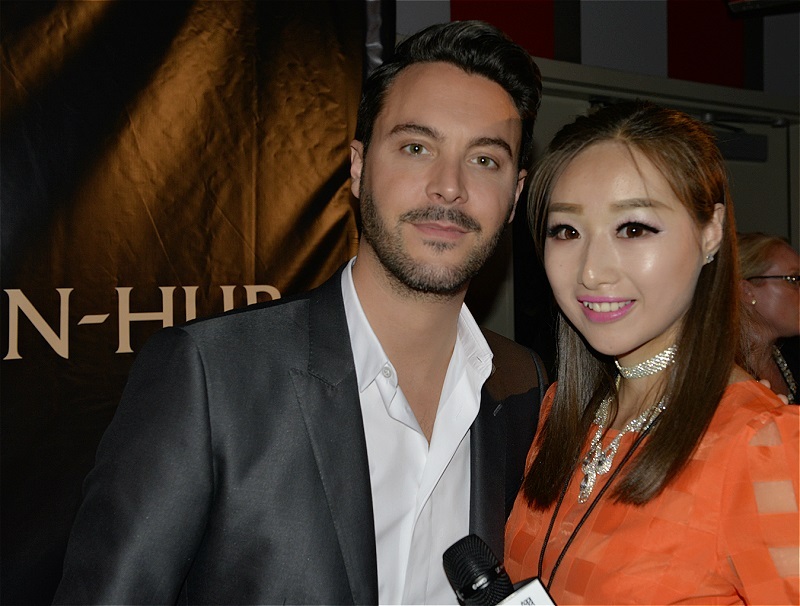 Reporter Meiling: The 1959’s Ben-Hur film has been a memorable classic for decades, yet this new version of Ben Hur, starring Jack Huston faces some new challenges. Let’s hear what are some outstanding changes in this film! 记者金美翎问Jack Huston: Were you intimidated to take over Charlton Heston’s 1959 image knowing that the critics would be making comparisons? Huston: It is sort of a mistake. I loved the 1959 version. I love what Charlton Heston did. If I read this and felt like this is a remake, I wouldn’t have done the movie. When I read it, I was taken that it was such a re-imagined idea of a wonderful story. But I felt very much it is so peace, so dandy for the modern audience. It didn’t feel like it was stepping on the toes of the previous movie, and Charlton Heston. The Judah we created, something that we are very proud of, is the Judah, this boy, this prince, sort of pacifist. He was forced into this revenge story, but he is the unlikely hero. So you want to see this wonderful journey through him. Because he has never the person you would expect to make it through. Right through to the race, I want to keep it ambitious on who’s going to win. There is no real villain in this version. The last movie is pretty much the story about revenge. This is about finding your way back, which is really a film about hope, and love, and forgiveness, and redemption. All of these things, I am very proud to be a part of, because, it is not really religious or faith, but it is a really good message. A message that we should all take something from, it is about humanity, kindness, and how we should treat our fellow man. That’s something I felt so new and fresh, and feel very relevant to today’s audience. That’s something we haven’t seen in Ben Hur, which I was really excited about. 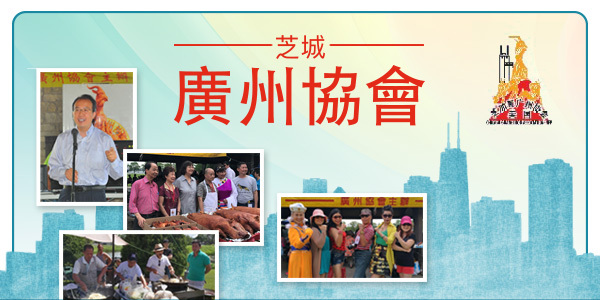 记者金美翎问Jack Huston: Since you mentioned “forgiveness,” for me, personally, there are so many people in my life, it is so hard to forgive, do you believe in this whole world, we should have more forgiveness? Huston: It is very hard to forgive. I think I found in my heart, I have eased up, if that makes sense. When you have children, because you want to instill in them, in the sense of honor, in the sense of moral justice, and the right thing to do. It was lovely, because while shooting this in Rome and I had my daughter was with me, I would come back, and realize, what emotional journey this movie became. It was very emotional, very internalized; it is something that you find from different moments, he’s always in questions with himself, with his faith, with his station, who he is. You see it right through the end. He doesn’t figure that out until the moment, when he lets everything go. That’s a real journey to go on. That’s a very exceptional thing that we are proud of. Burnett: It has almost been 60 years, since the 1959’s version, this is a whole generation of people who hasn’t even seen or even heard of Ben Hur, that is the “Ben Who?” generation. 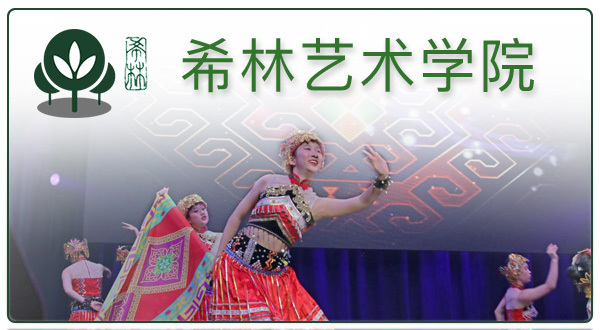 It is such a good story, it has such a great message of reconciliation of forgiveness. It is certainly needed. The message of love and forgiveness in 2016. 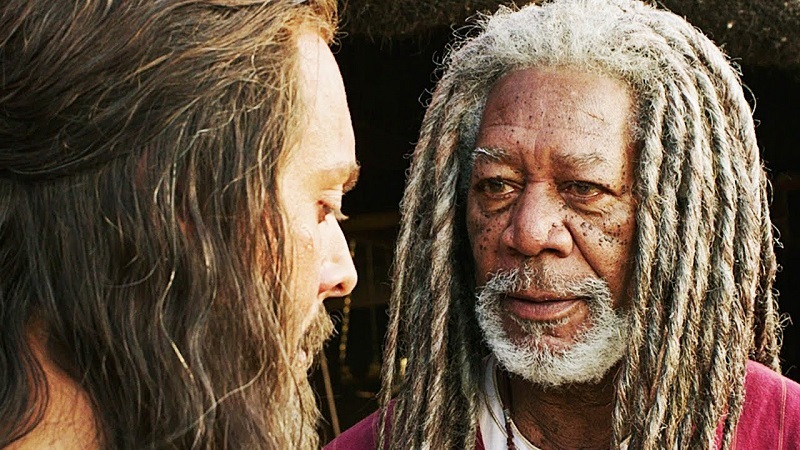 Downey: We are just so thrilled, because we were able to get all of these fantastic cast, head up by Jack Huston, as Judah Ben Hur, the great Morgan Freeman, for the role of Ilderim, and Rodrigo Santoro, stepped into the role of Jesus, more significant role than the 1959, because it is through encounter with Jesus, that Ben Hur’s life is changed forever. 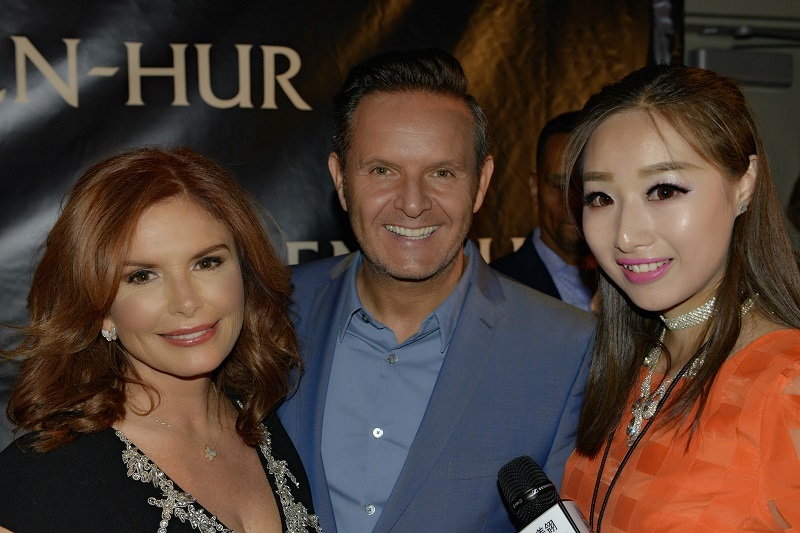 记者金美翎问Mark Burnett 和 Roma Downey: I haven’t watched the 1959 one, I really loved this new one. (Burnett: So you are the “Ben Who?” generation?) Yes, I am the new generation. So what can you tell us about the Chariot race? Burnett: The chariot race is amazing, took 38 days to make that. That’s longer than some movies take to make. 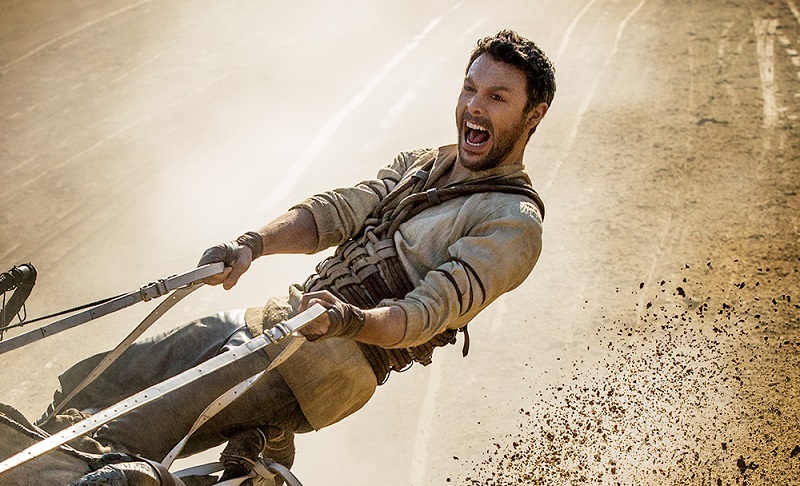 For young generation, this movie feels like “Gladiator” meets “Fast and Furious.” So the chariot race is amazing. That is by our extraordinary director, Timur Bekmambetov, he studied Formula 1 racing, so he would have the understanding of how to film it, and make it very exciting, for the modern day audience. What was so important to us is that Ben Hur would feel fresh, he would feel contemporary, he would feel relevant for today’s audience.